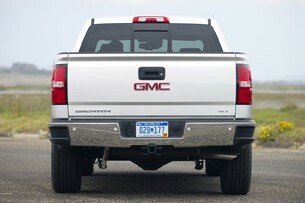 Autoblog rating for the GMC Sierra 1500 is not available. Please check back later. 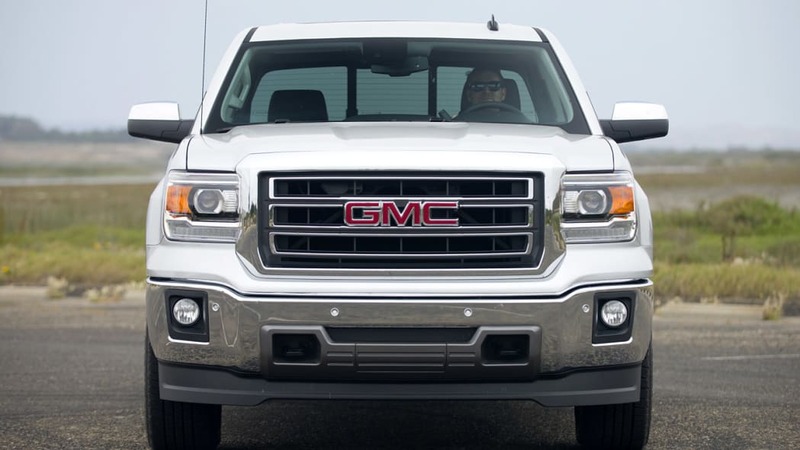 Is the Best GMC Truck Ever Made Good Enough? 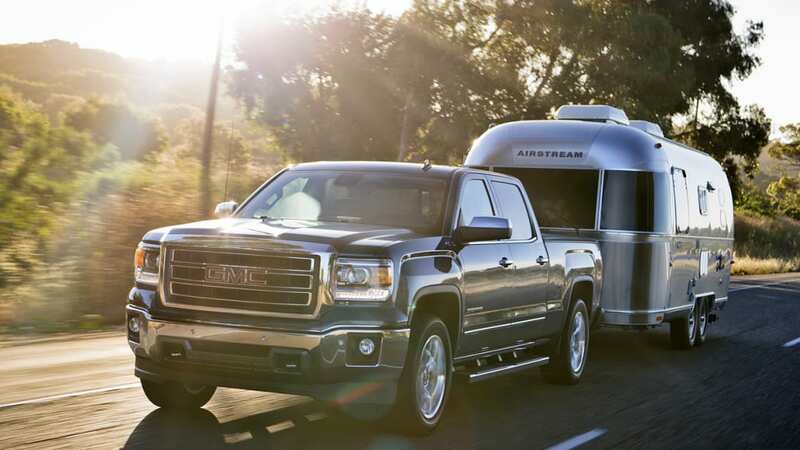 We've got a bright aluminum Airstream camper hitched to our rear bumper as we head up Southern California's coast because GMC says that 60 percent of all full-size pickup owners will use their trucks for towing. 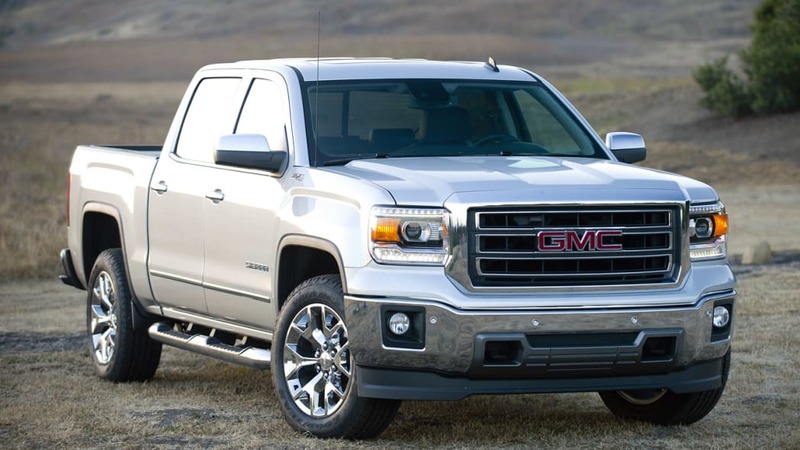 Rather than forcing us to absorb its capabilities in a long-winded PowerPoint presentation, the automaker brought us to Los Angeles and handed us the keys to its all-new 2014 GMC Sierra 1500. After jumping behind the wheel of a 5.3-liter V8 model, we drove up the foggy Malibu coast (locals call the soggy early-summer weather "June Gloom") and made our way to the Camarillo Airport for a towing refresher. Once completed, a brand-new 23-foot Airstream was hitched to our aft end and we were pointed towards a campground just west of Santa Barbara. 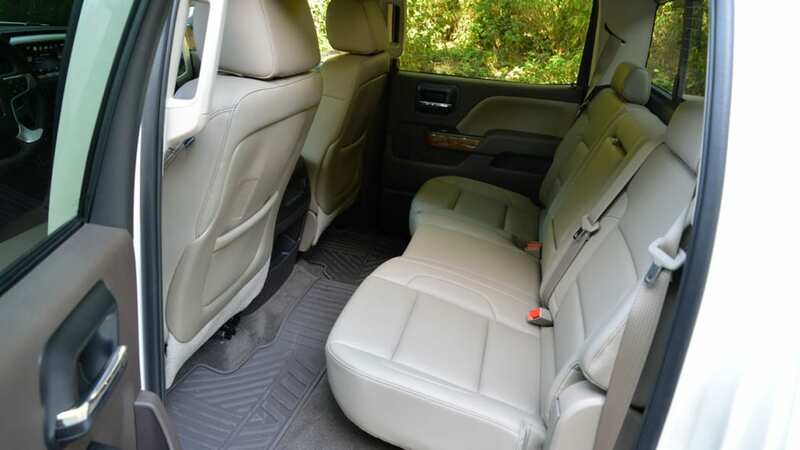 The luxury RV would serve as our "glamping" base for the next couple of days and the Sierra would be our transportation as we explored the surrounding coastline. 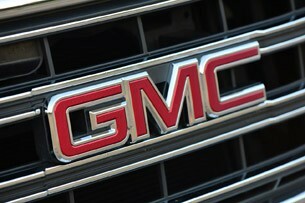 It was a unique look at the automaker's truck, and it offered us plenty of fresh insight for our first drive of the newest GMC. 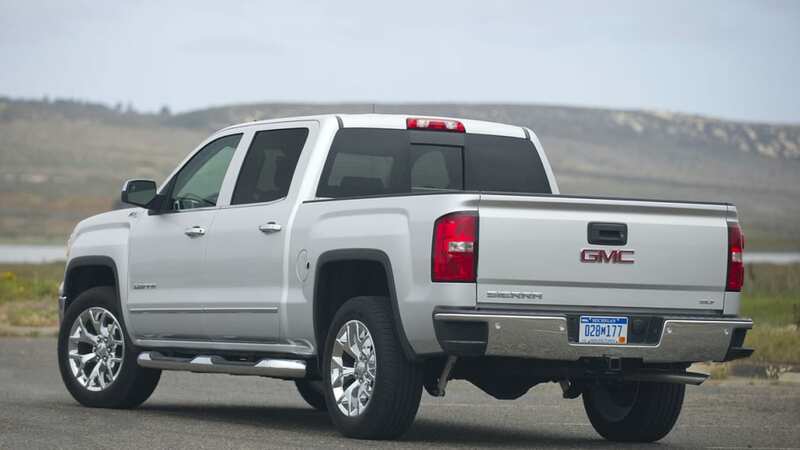 Side-by-side, we feel the Sierra is the more attractive of General Motors' two pickups. 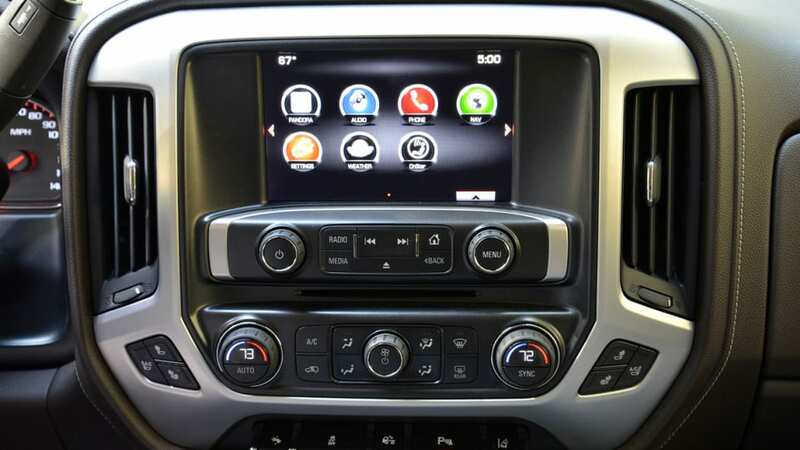 It was only about a month ago that we first jumped behind the wheel of the all-new 2014 Chevrolet Silverado. 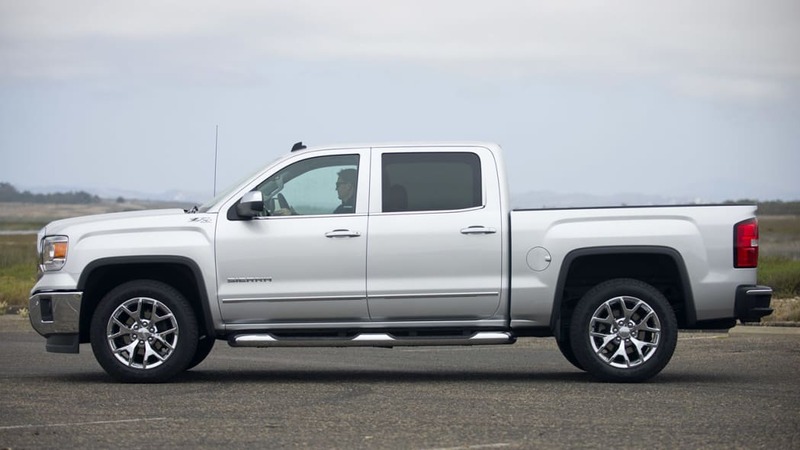 Mechanically speaking, the full-size Chevrolet pickup is a virtual clone of the new Sierra pickup as the two share chassis, engine and powertrain options. 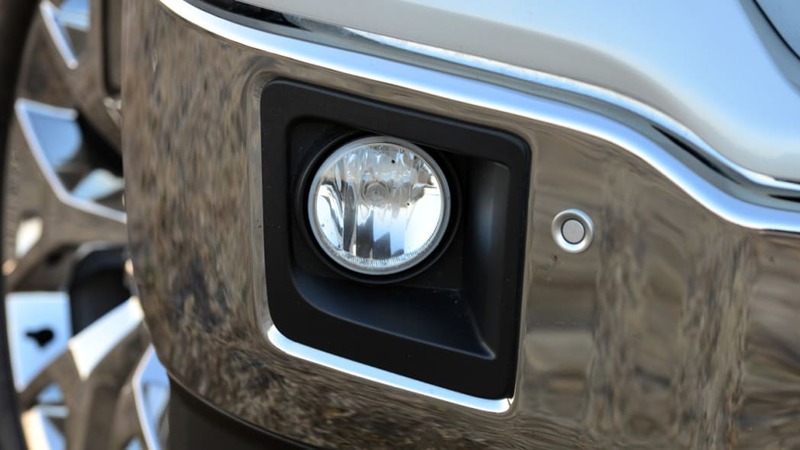 To differentiate itself from the Silverado cosmetically, the Sierra does away with the stacked headlights and replaces them with a single projector-beam bulb on each side surrounded by LED daytime running lights. 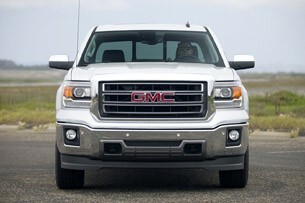 The prominent grille features GMC's three-bar signature design, open wide for plenty of cooling. 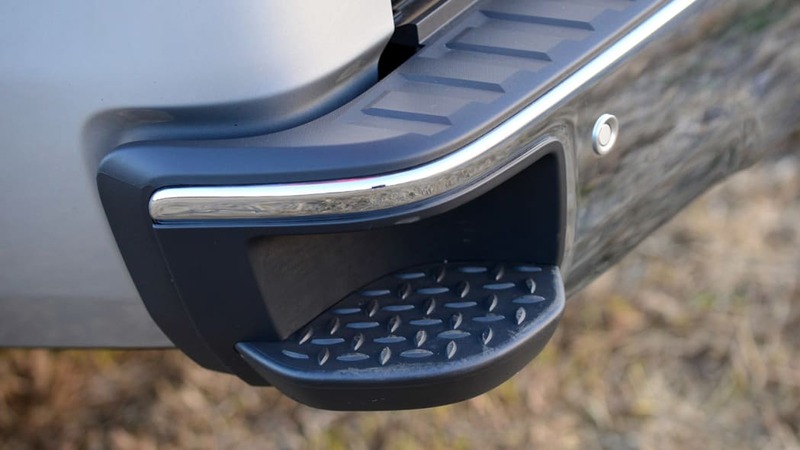 The lower chrome bumper looks similar to the one on the Chevrolet, but closer scrutiny reveals it has a bit more character and curves, despite featuring two tow hooks and round driving lights in the same general vicinity of its cousin. 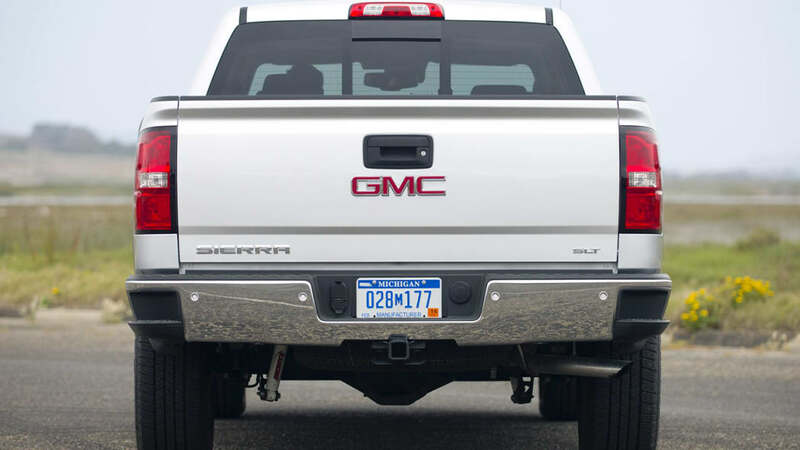 The side profiles and rear views are nearly identical between the two, except for the stepping rails and prominent badging on the torsion-spring tailgates. 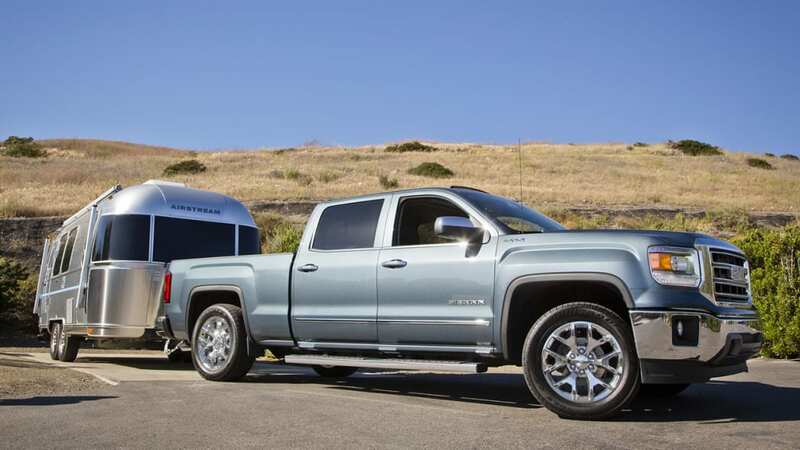 Side-by-side, we feel the Sierra is the more attractive of General Motors' two pickups (a poll we conducted last December shows that 70 percent of our readers agree). 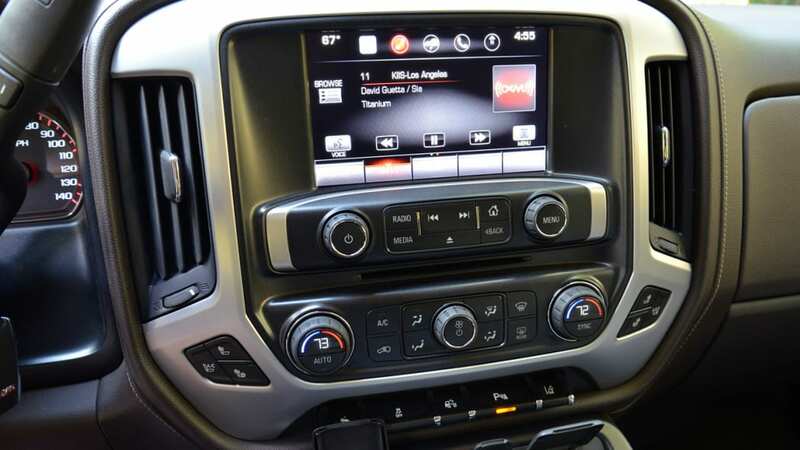 GMC is able to brag that the aluminum surround on the center stack is real aluminum – yet the wood and chrome are still plastic. 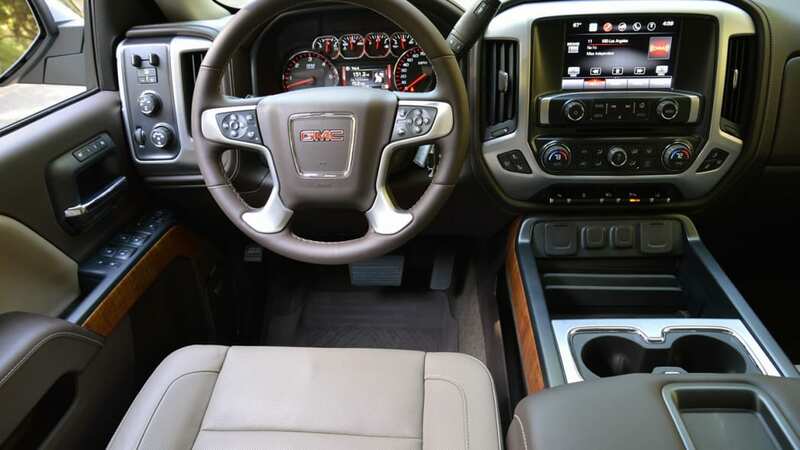 Don't expect the interior of the Sierra to be a great departure from the Silverado either, even though the GMC is decidedly more upscale and premium in materials. 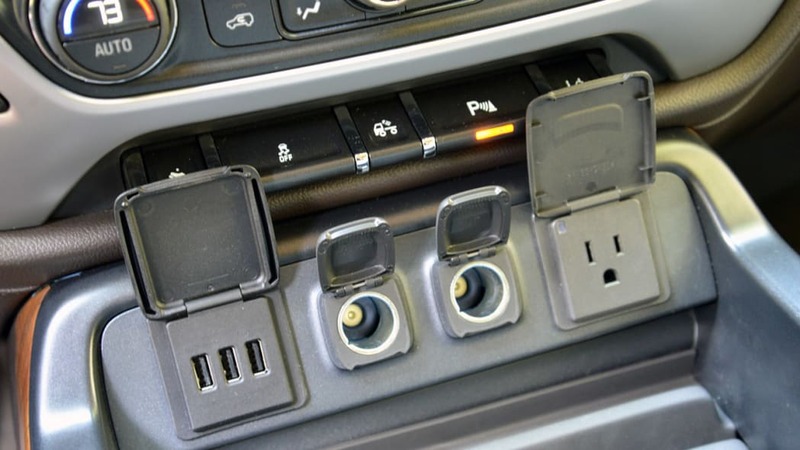 Both share the same basic layout, steering wheel, console, dual passenger storage compartments and power ports. 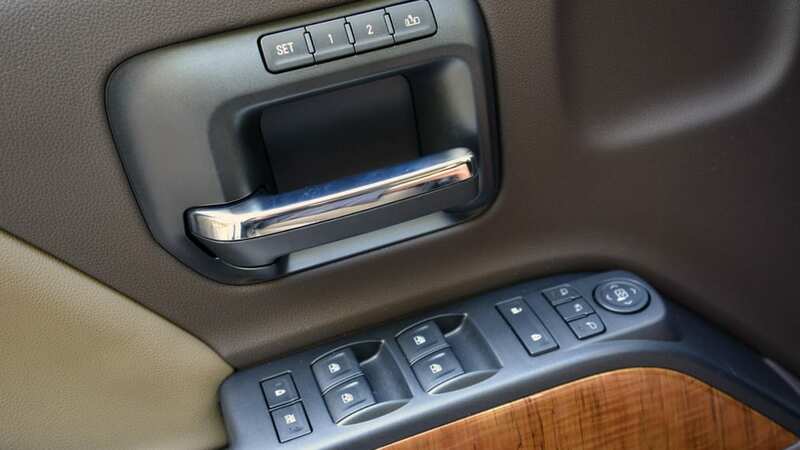 However, the GMC is able to brag that the aluminum surround on the center stack is real aluminum – yet the wood and chrome are still plastic. With the exception of some badging and unique upholsteries, they are almost twins. 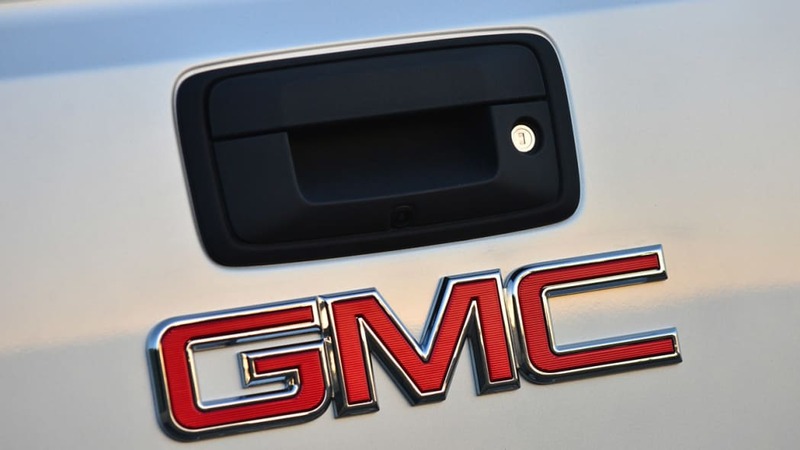 GMC currently offers its Sierra in two body styles (crew cab/short box and crew cab/long box), but it will add three more later this summer (regular cab/standard box, regular cab/long box and double cab/standard box) bringing the total to five body styles. 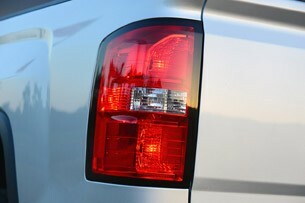 There are also three different trim levels (Sierra, SLE and SLT). 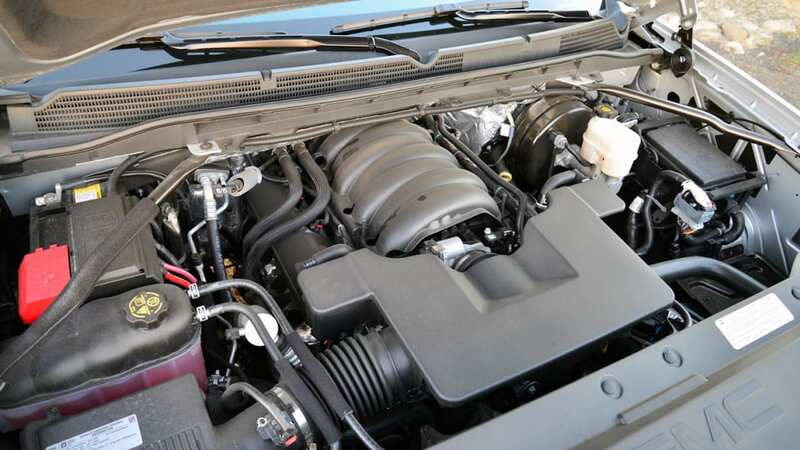 In addition, consumers are offered three different engine choices. 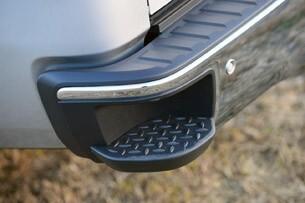 Each is a member of GMC's new EcoTec3 family. 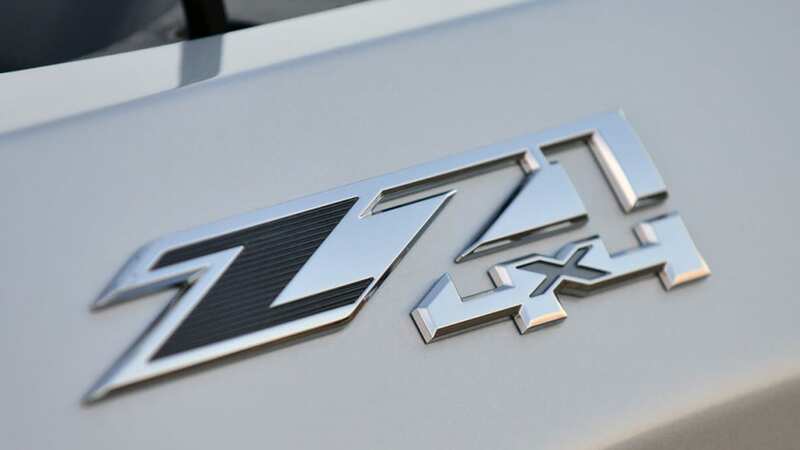 All boast aluminum blocks, direct injection, continuously variable valve timing and cylinder deactivation – the advanced engines are all capable of switching to four-cylinder operation under light loads. 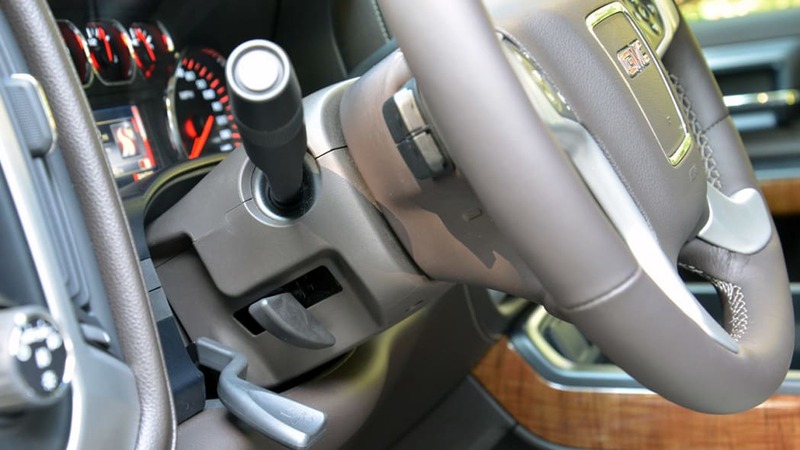 Following today's trends, the power steering is electrically assisted. 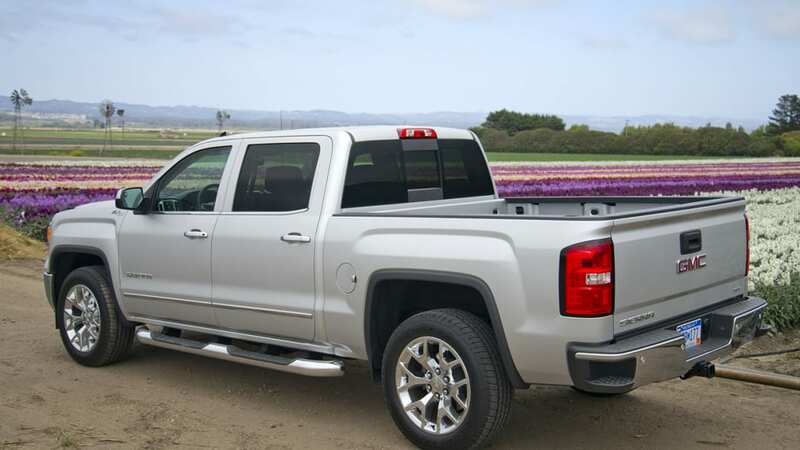 The standard powerplant in the Sierra and SLE is a 4.3-liter V6 (LV3) rated at 285 horsepower and 305 pound-feet of torque. 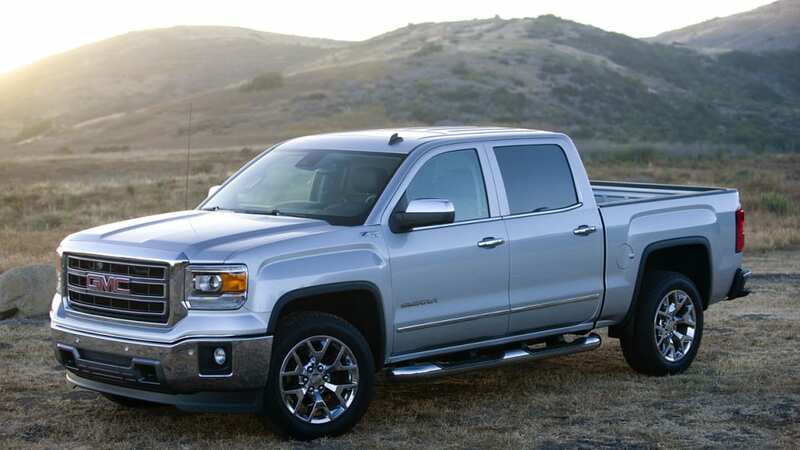 The upgraded engine, optional on the Sierra and SLE trim but standard on the SLT, is a 5.3-liter V8 (L83) rated at 355 horsepower and 383 pound-feet of torque. 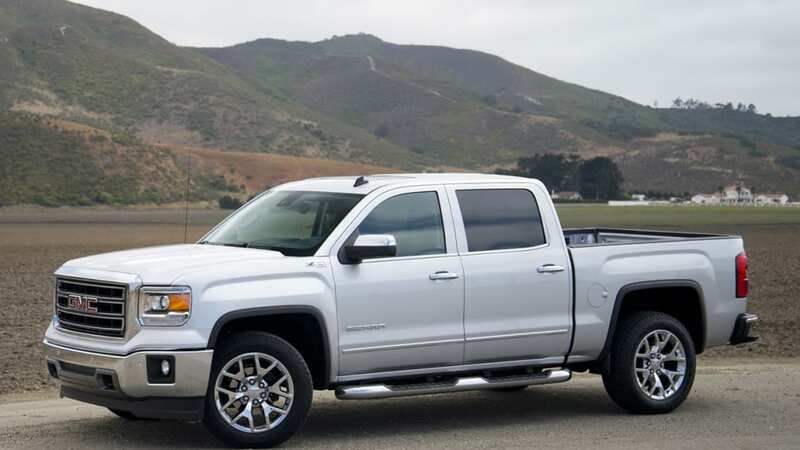 The 6.2-liter V8 (L86) rated at 420 horsepower and 450 pound-feet of torque, will be offered on the SLT and upcoming Denali model later this fall. 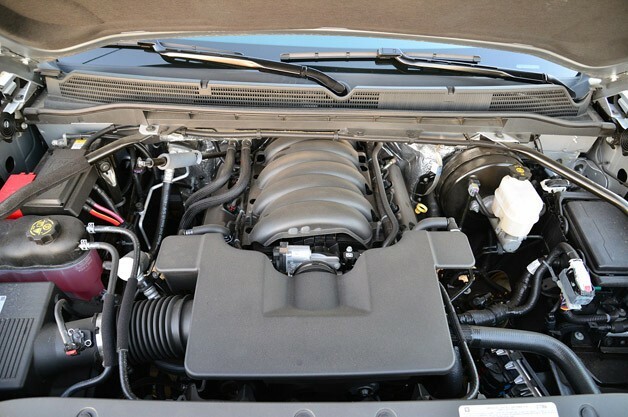 All three engines are mated to GM's trusted Hydra-Matic six-speed automatic (6L80) transmission. Despite their unique displacement, the gear ratios are identical (the final drive ratio does change with the optional Max Trailering package). 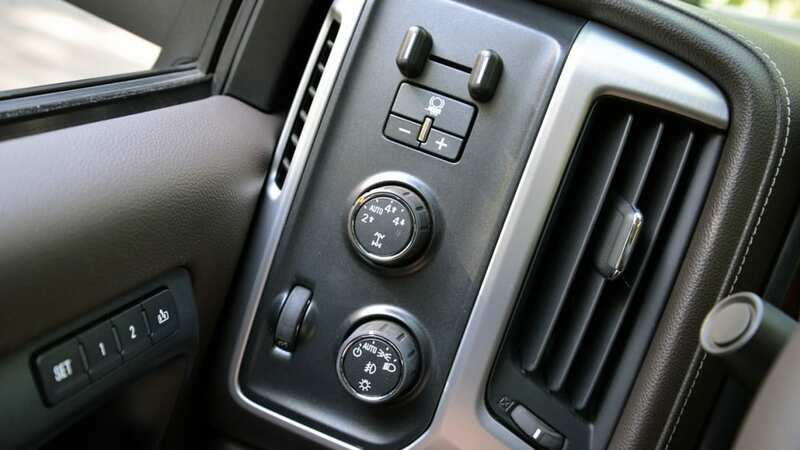 The standard driveline is rear-wheel drive (4x2), but four-wheel drive (4x4) is an option on all models. 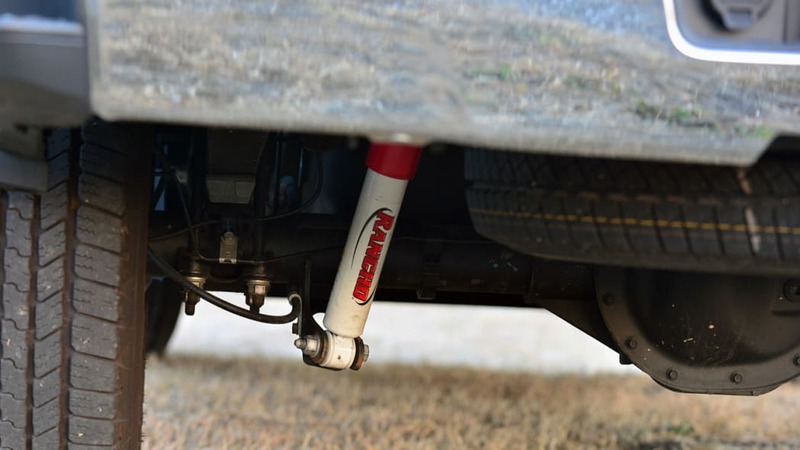 As a refresher, the full-size underpinnings include independent aluminum suspension arms up front with twin-tube shock absorbers, and a solid axle in the rear with semi-elliptic, variable-rate, two-stage multi-leaf springs and twin-tube shocks. 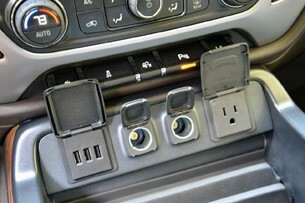 Following today's trends, the power steering is electrically assisted. 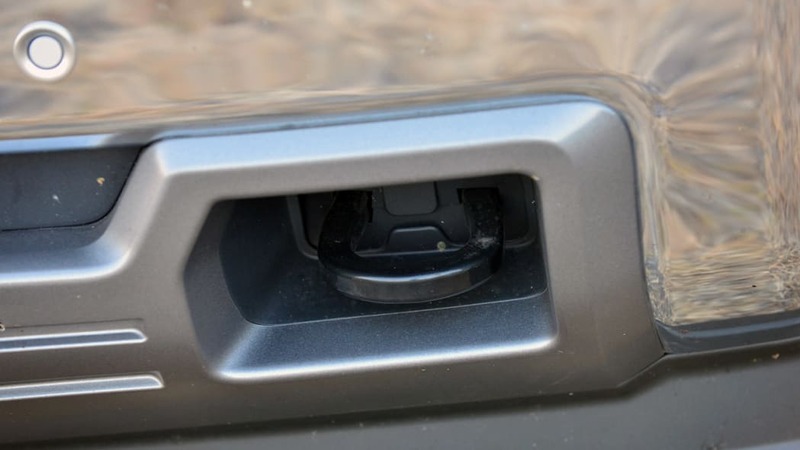 As expected, and mirroring the Silverado, there are four-wheel disc brakes featuring Duralife rotors with ferritic nitrile material to reportedly extend their replacement interval. 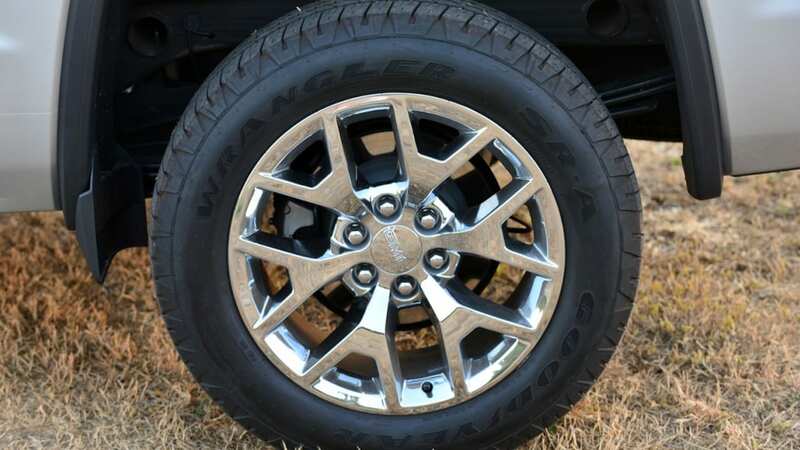 Standard wheels are 17-inches in diameter and constructed in steel, but higher grade trims and option packages fit 18- or 20-inch alloys with all-season or all-terrain tires as large as 275/55R20. 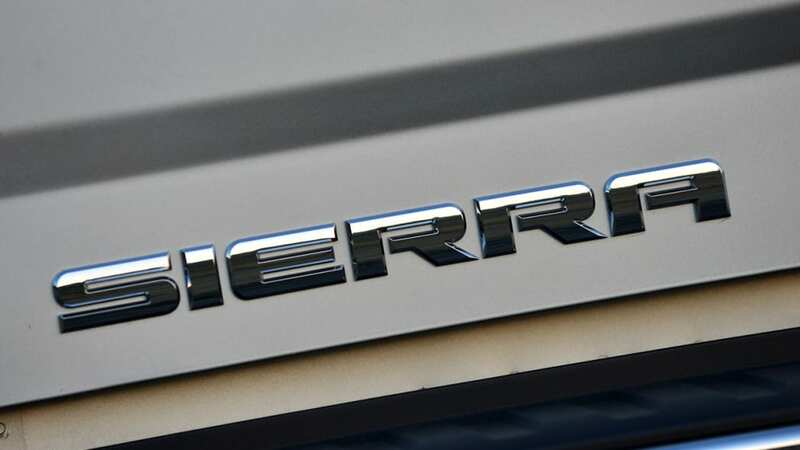 Acoustically, the Sierra seemed as quiet as a late-model luxury sedan. 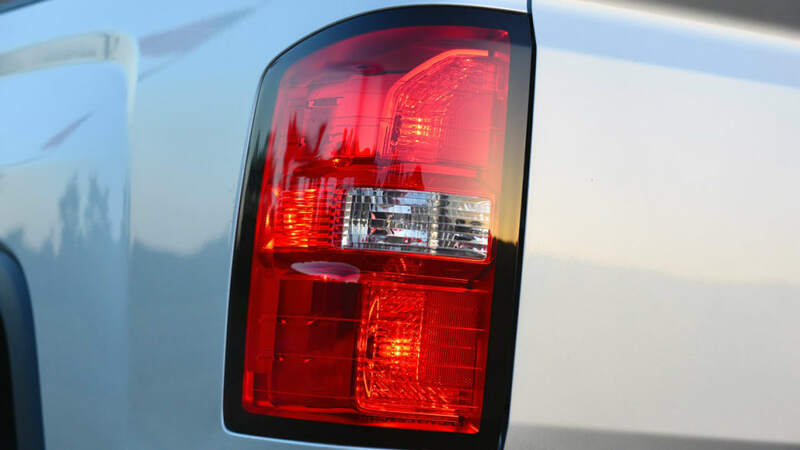 Our upmarket test model was a Sierra 1500 4WD Crew Cab SLT painted in Quicksilver Metallic over Jet Black leather upholstery. 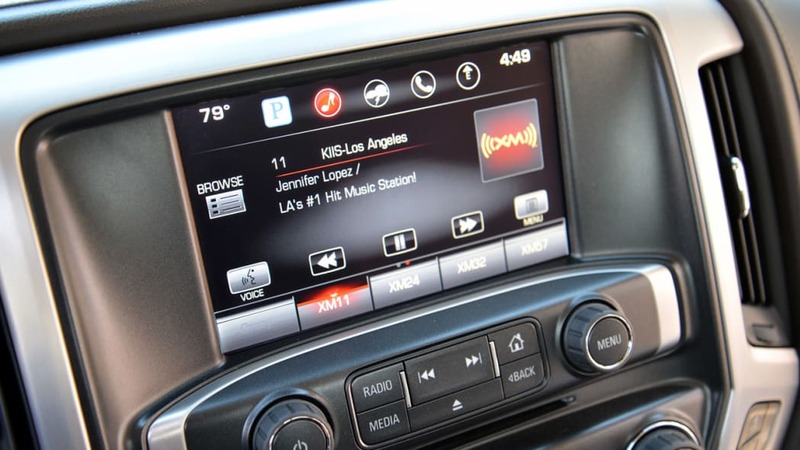 Its base price of $43,125 was boosted with the addition of the SLT preferred package ($400), Driver Alert package ($845), power sunroof ($995), 20-inch wheels ($995), navigation with Intellilink ($795), heated and cooled front seats ($650), Bose audio package ($500), Z71 off-road suspension package ($430), upgraded seats ($325), trailer brake controller ($230) and all-terrain tires ($200). 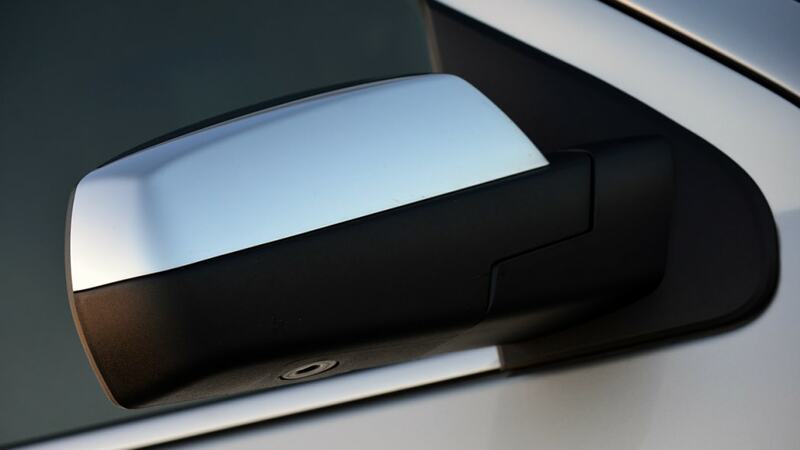 Add in the destination charge ($995) and its MSRP climbed to $50,485. 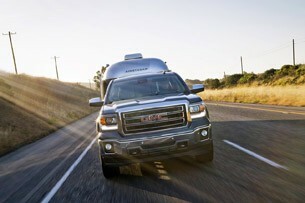 We first climbed behind the wheel of the full-size truck near Los Angeles Airport. Being a weekday, this meant our first 30 minutes were spent stuck in traffic. Normally, that does nothing but raise our pulse. 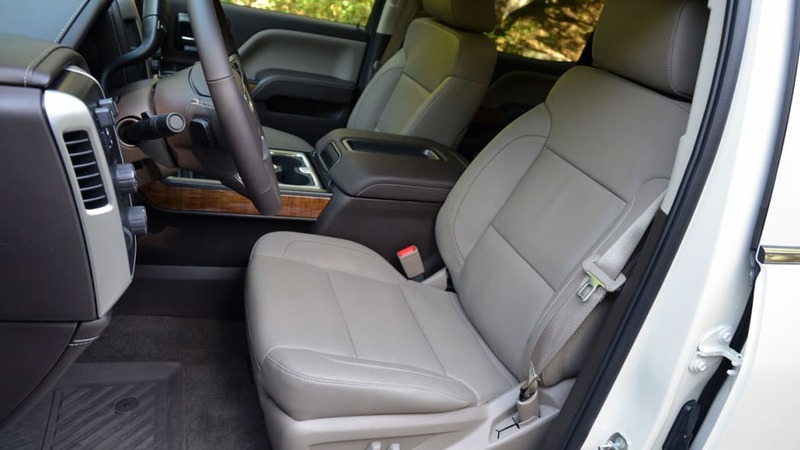 But seated in a new vehicle, it allowed us plenty of time to become familiar with the cabin, its appointments and the equipment. 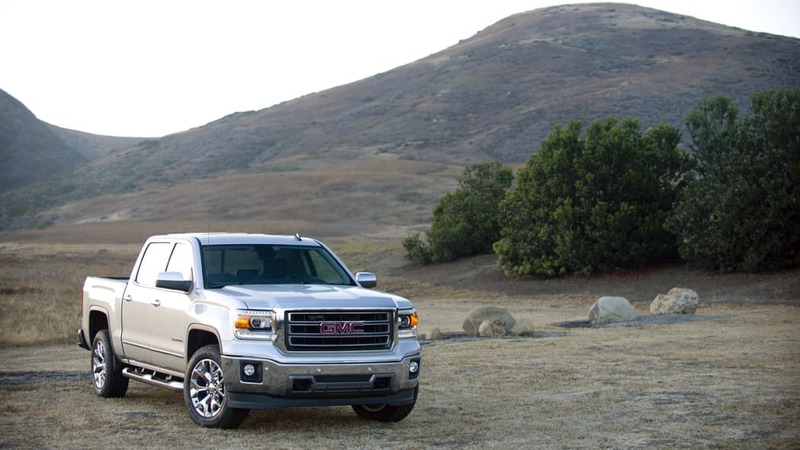 Overall, we found the interior of the Sierra to be a very serene place to watch the miles pass – forget all of those noisy and harsh-riding full-size pickup stereotypes. 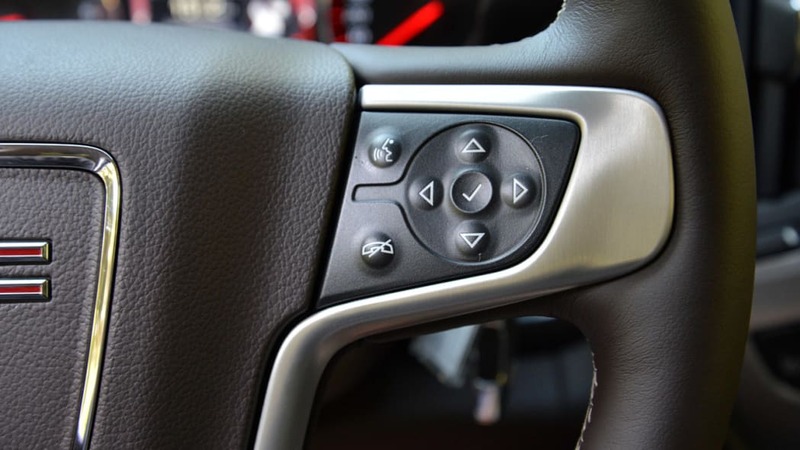 The seats were comfortable, with a multitude of controls that allow a wide variety of human frames to find their optimal driving position. 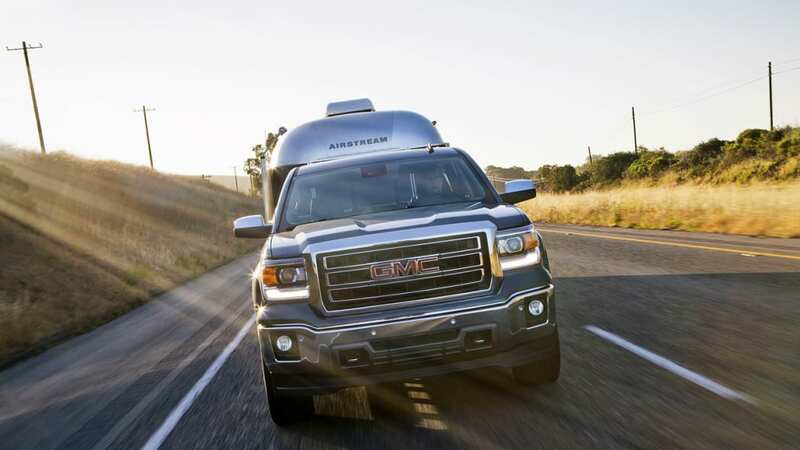 Acoustically, and this was something we repeated to ourselves several times during our many stints behind the wheel, the Sierra seemed as quiet as a late-model luxury sedan (credit plenty of sound deadening, noise-absorbing fender liners and triple-seals on the doors). 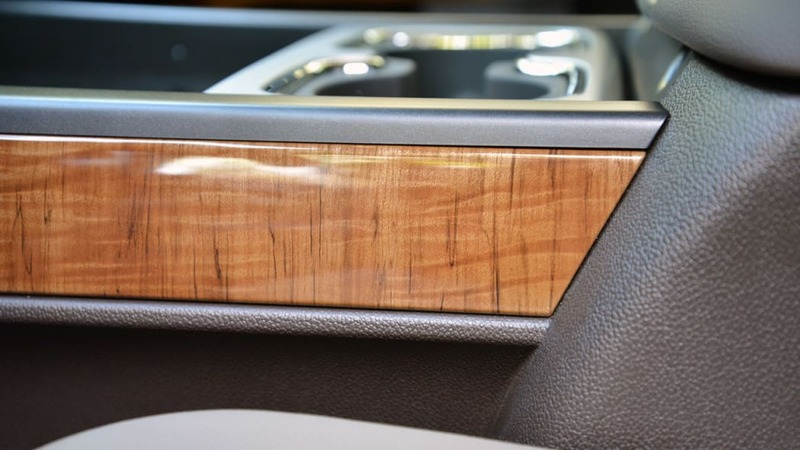 But even though GMC touts the interior as upscale, we still didn't consider the choice of materials top shelf. 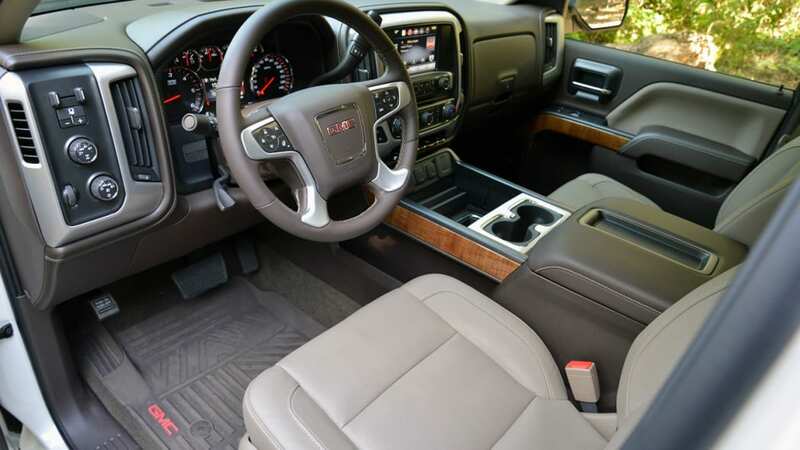 The best way to put it: Even though GMC has clearly made an effort, the interior still falls far short of an equivalent $50,000 luxury sedan. 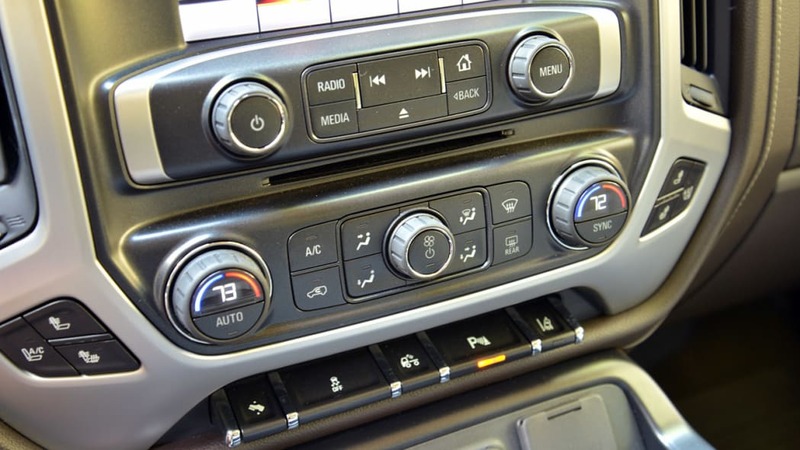 On the subject of cabin likes and dislikes, we praised the bank of USB, cigarette lighter and household outlets at the bottom of the console and the array of gauges on the dashboard that allowed us to monitor just about everything mechanical. We appreciated the storage space, and the generous headroom (the headliner appears cut out for a ten-gallon hat). The Bose audio upgrade was also a big disappointment as it lacked bass. On the other hand, we didn't like the noisy seat ventilation (it was so annoyingly loud that we chose to turn it off rather than tolerate its drone) and lousy overhead sunglass holder (the opening is so small that few glasses will fit). The Bose audio upgrade was also a big disappointment as it lacked bass. 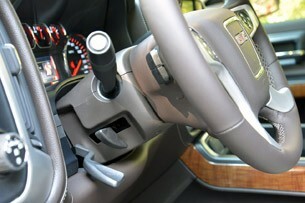 Our opinions were mixed on the column-mounted shifter. The traditional location keeps it up and out of the way, but it slides through the gear detents so easily that we inadvertently dropped it into manual mode more than a few times (the engine won't auto-shift, so we found ourselves stuck at redline in a low gear with each occurrence). The ride around town, and on the highway, was very nice. 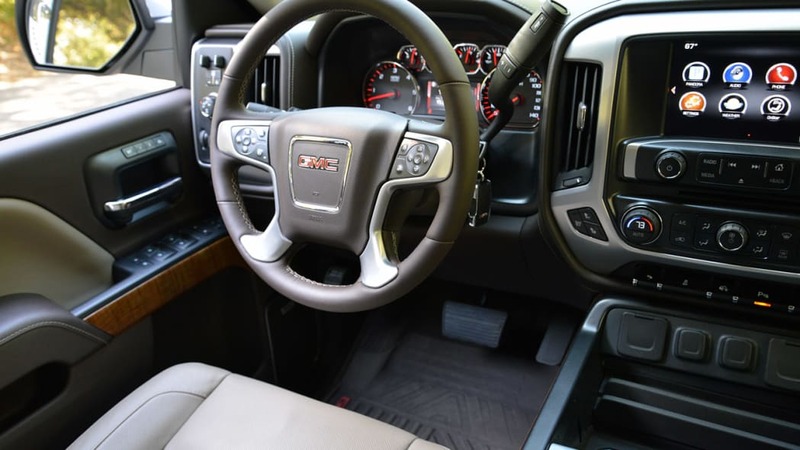 Electrically assisted steering seems to be hit-or-miss these days depending on the automaker, but GMC has done a fine job balancing weight and feedback. Straight-line tracking was good, even though it did feel a bit numb at times. 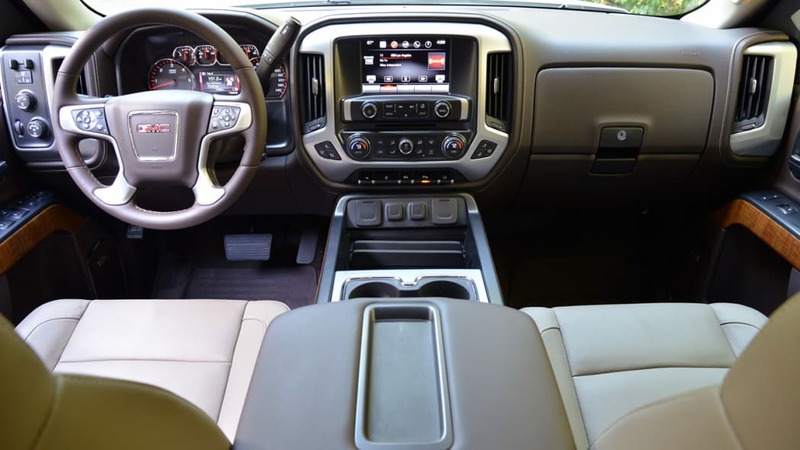 We recall a time when full-size pickups were expected to ride with a bounce (a load in the bed would calm it down). 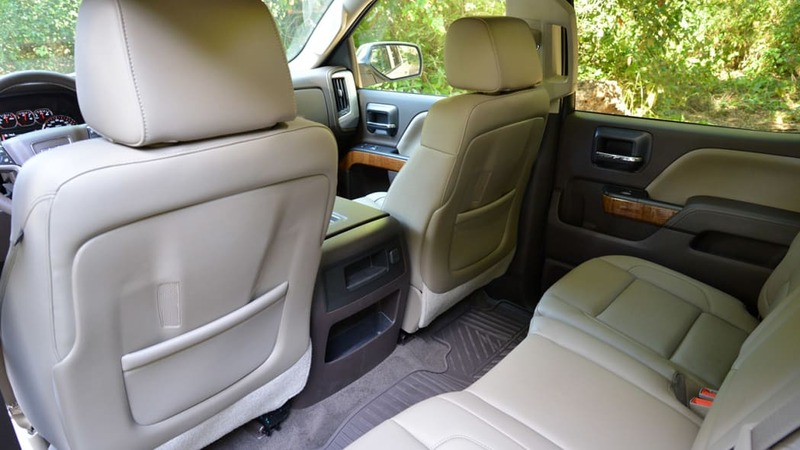 The Sierra apparently didn't get that memo, as its empty ride rivaled that of a late-model full-size SUV – in fact, a blindfolded passenger would have a hard time telling the two apart. 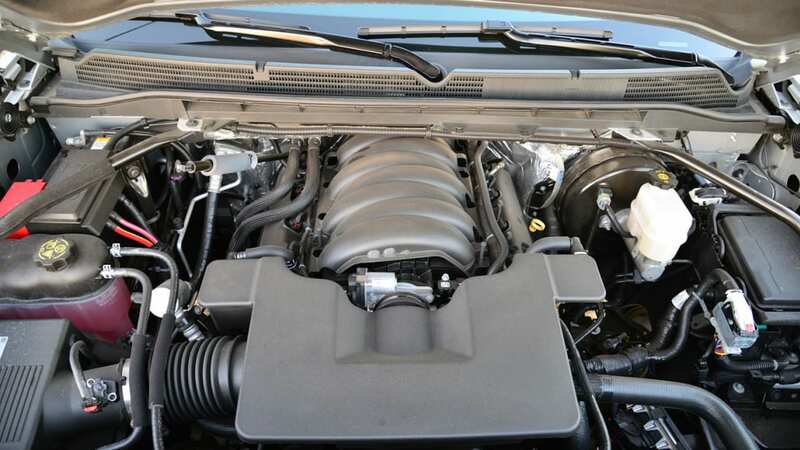 Power from the 5.3-liter V8 was strong and the well-proven six-speed shifted very smoothly (despite its creamy refinement, the transmission will likely be replaced by an eight-speed automatic in the near future that will deliver better acceleration and improved fuel economy). 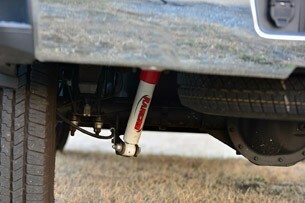 Punching the throttle from a stand-still left rubber on the pavement, and passing at speed was an effortless maneuver. 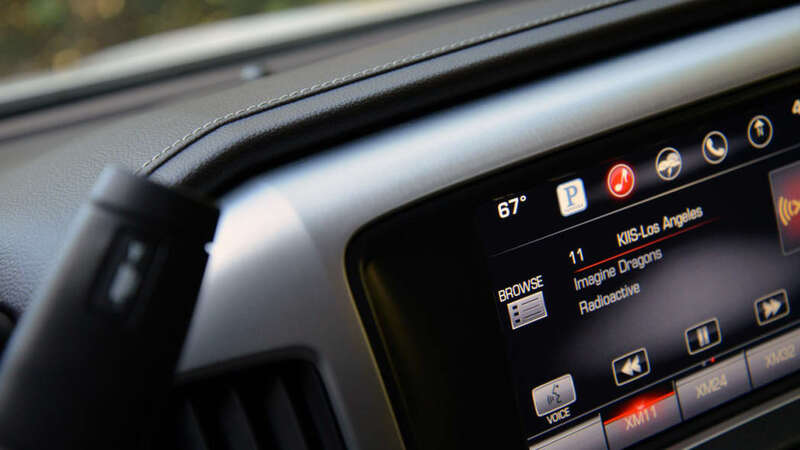 We found the colored cylinder deactivation icons on the dash a bit gimmicky. 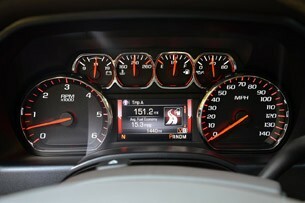 There is a little display on the bottom of the instrument cluster that displays a red "V8" while driving. 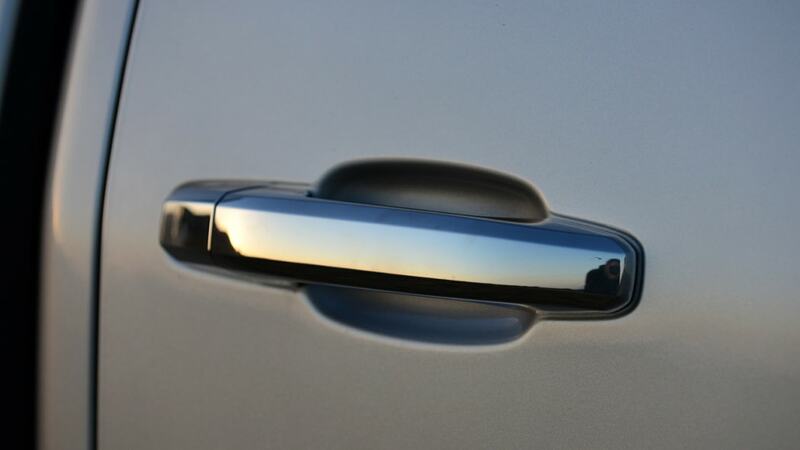 However, during cylinder deactivation, it switches over to a little green "V4." The changeover only seem to occur during downhill grades, when fuel cut-off would have been expected anyway. 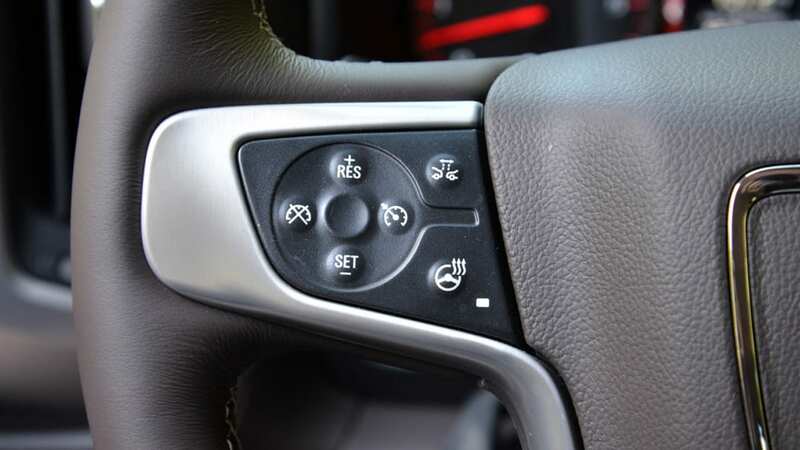 Bottom line: We found the colored cylinder deactivation icons on the dash a bit gimmicky. 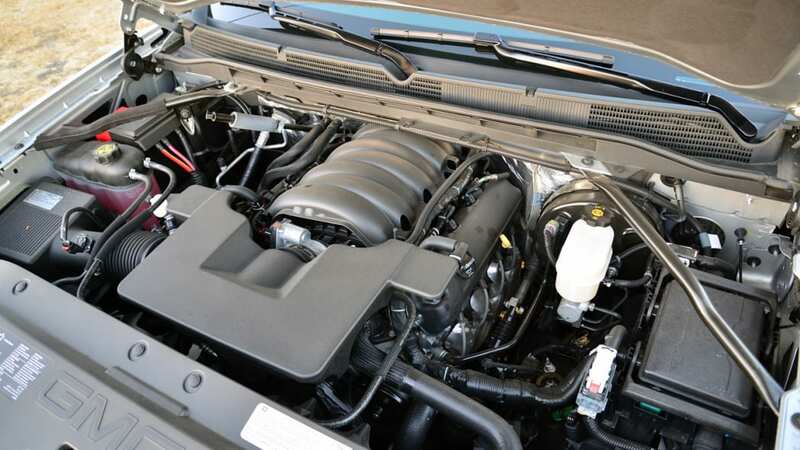 In any case, the EPA estimates the 5.3-liter V8 (4WD) will achieve 16 city and 22 highway. We reset the trip computer and averaged 21 mpg during a 15-minute cruise on level highway at 70 mph. 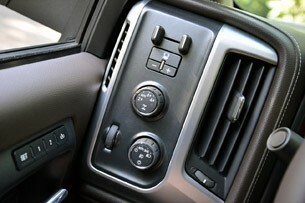 Out of curiosity, we also spent some time with the 4.3-liter V6 in a 4WD crew cab. For those who haven't been following too closely, this engine has been significantly upgraded from its predecessor. (Are we the only ones who can't stop thinking about the lethargic 165-horsepower "4300" under the hood of the 1985 Chevrolet Astro van?) 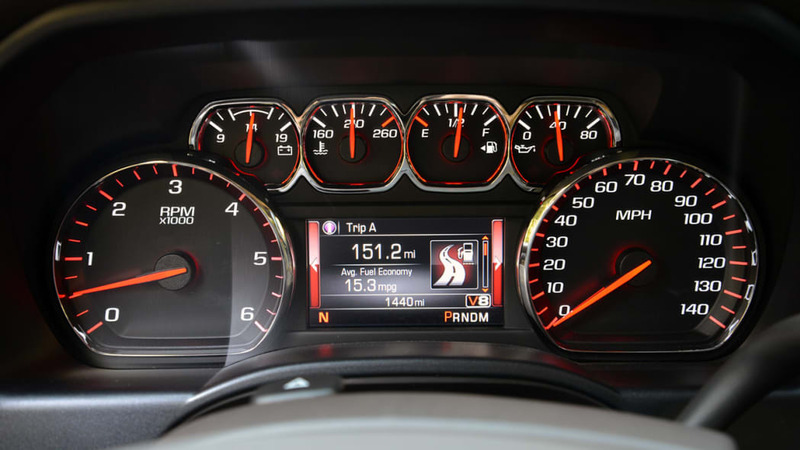 Acceleration was good and the six handled the full-size truck nearly as effortlessly as the eight, but acceleration was down a tick or so to 60 mph. 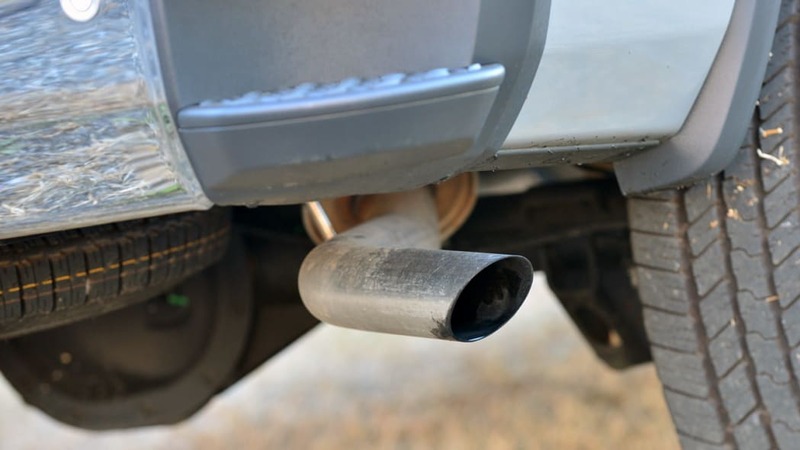 As of press time, fuel economy figures have not been released for the V6 engine. However, running the same route as we had with the V8 earlier in the day, we reset the trip computer and averaged 22 mpg during a similar 15-minute cruise on level highway at 70 mph. 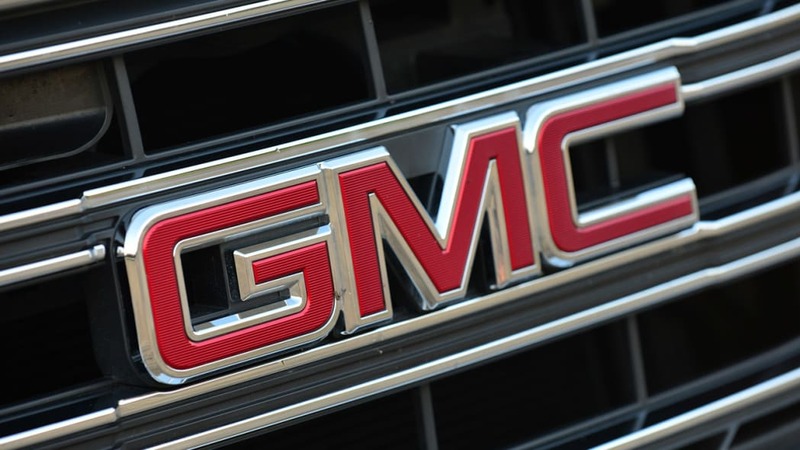 Considering how close the V6 and V8 seemed to be in real-world highway efficiency, and the fact that GMC only charges a petty $895 premium for the 5.3-liter, the V8 seems the no-brainer choice in the showroom, especially if the owner is among the 60 percent who will tow. 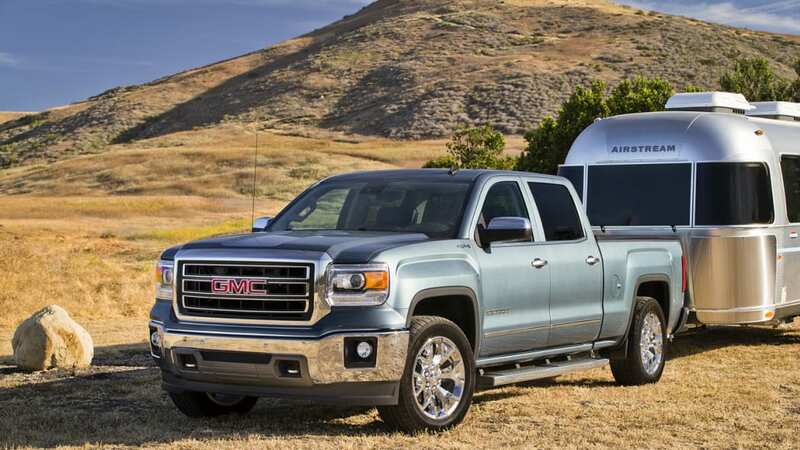 We've towed many different things, but few as competently as the Sierra guided the RV along the highway. 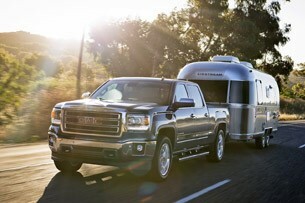 Speaking of towing, we put about 100 miles on the 5.3-liter Sierra with the bulbous Airstream firmly on its bumper. 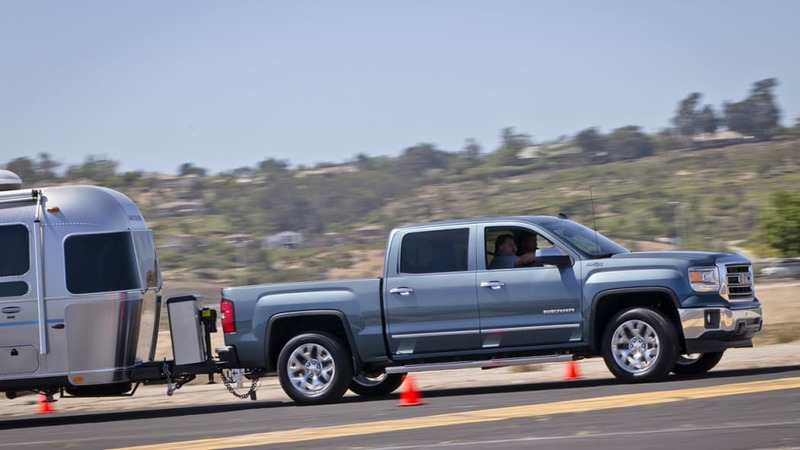 Even though the 5,000-pound trailer was well below the V8's 11,500-pound maximum, it gave us a good idea of how the truck responded to the extra load. 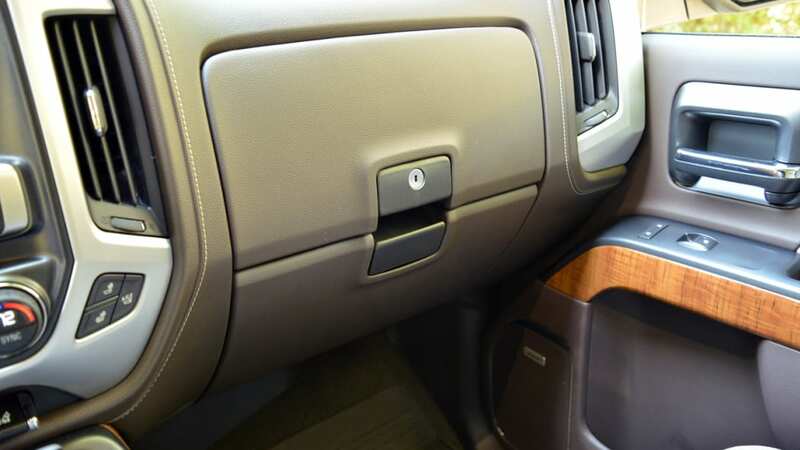 During his First Drive of the 2014 Silverado, Zach pulled an empty horse trailer and said, "...you'll never know it's there." He was spot on. 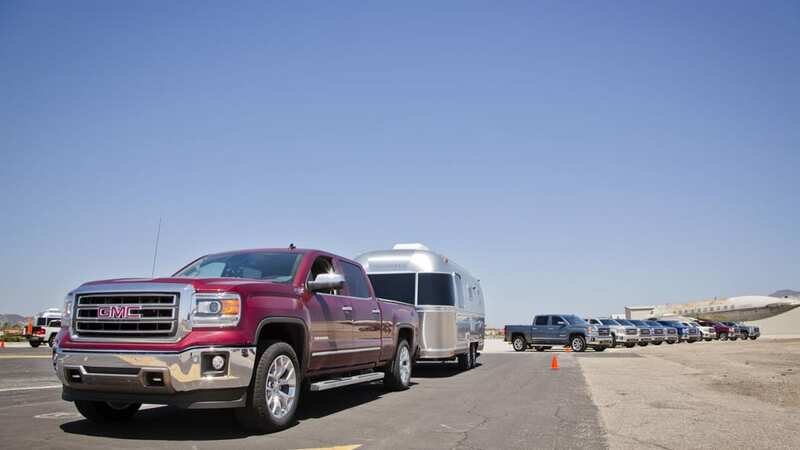 We've towed many different things over the years, but few as competently as the Sierra guided the RV along the highway. As expected, acceleration was down a bit and overtaking slower traffic required a bit more planning. Yet the combo had no difficulty pulling up the steep (nearly seven percent) 2.7-mile long Conejo Grade southbound on US 101. We reset the fuel economy while towing, and averaged 12.5 mpg overall while cruising at about 60 mph. 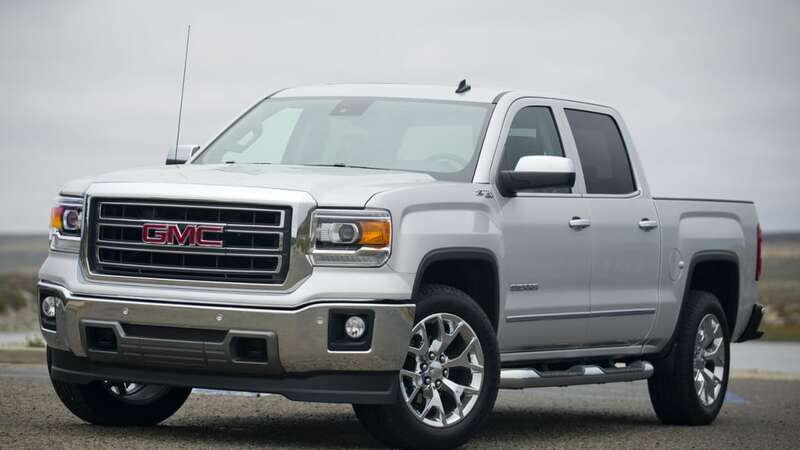 After three days of driving, the all-new Sierra left us with plenty to smile about. With few exceptions, we approved of its fresh styling, comfortable cabin, smooth ride, efficient power and towing capability. 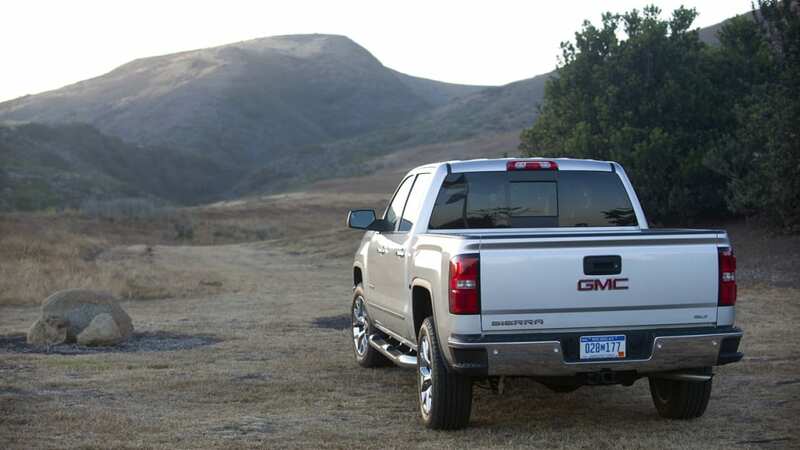 GM has done an excellent job with its new full-size pickup, and it deserves plenty of praise. But we aren't wearing blinders. 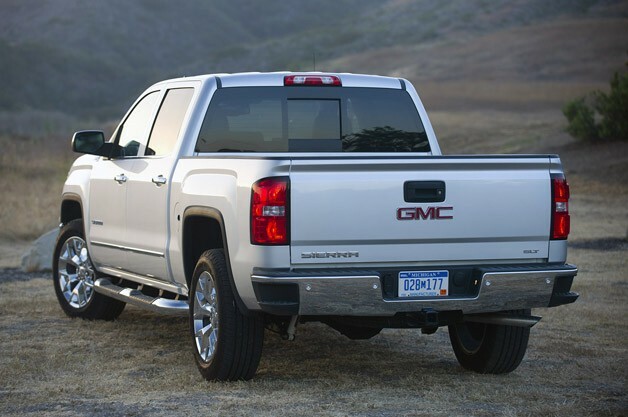 The 2014 GMC Sierra is the best truck in the brand's 111-year history. This segment used to be boring, bland and stagnant, as the machines were nothing but work horses. 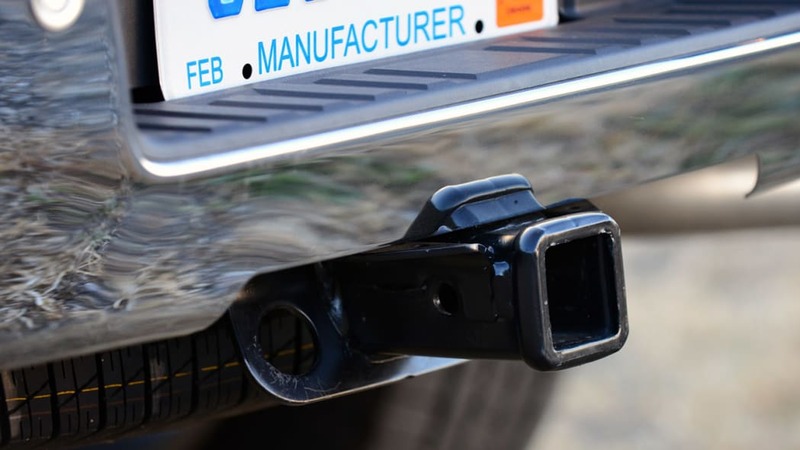 Yet today there is fierce competition as trucks have evolved to be as capable in the ruts of the dirt field as they are being valeted at a country club. 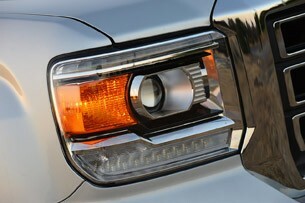 GMC has traditionally owned the reputation of offering more premium trucks than Chevy, but even that's under threat with the arrival of higher-spec niche trims for the Silverado, such as the recently unveiled High Country model. 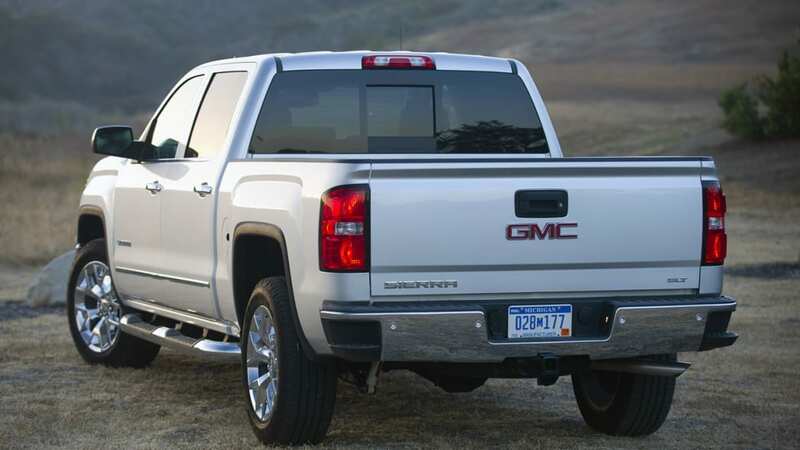 It's a fact, though, that the 2014 GMC Sierra is the best truck in the brand's 111-year history. 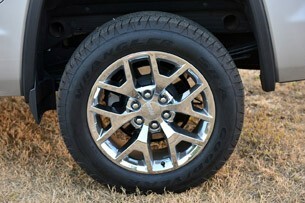 But we'd be crazy if we didn't admit the same is true about the Silverado, as well as the latest Ram 1500. 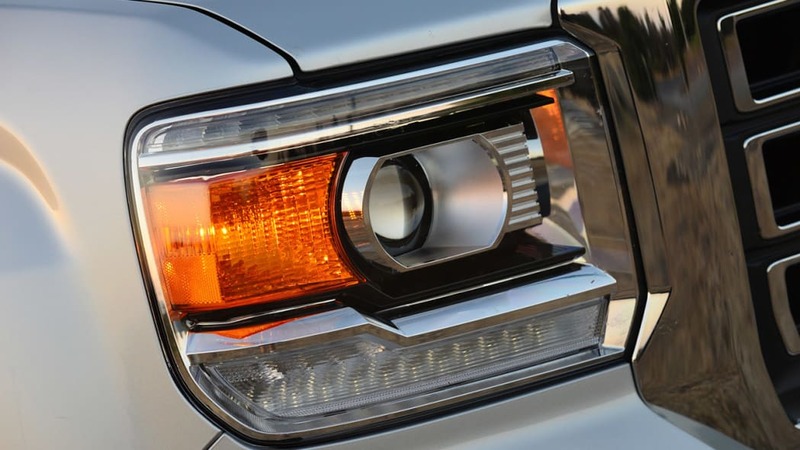 And will the best GMC truck ever made be enough to handle what Ford has in store for the all-new 2015 F-150?